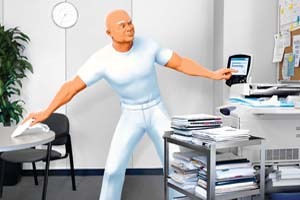 The current marketing campaign from Xerox is very effective because it’s built on a simple business insight: In any given day how much time do we really spend on our core business? When business processes are running efficiently, you are free to focus on the critical work that counts most, your core business, your real business. And that’s where digital document management comes in. You need to find a partner who can take care of the back office technology and services so you can focus on real business – the things that you made great in the first place. Here are some common business challenges that you can tackle through hiring a digital document management expert. 1. Too much time and resources to process applications. This is a common challenge of financial service companies. For example, credit card companies receive thousands of applications through mail and fax, and these applications need to be digitized, captured and processed. Too much time is spent in gathering the paper applications and processing them, which in turn takes time away from focusing on strategic planning and customer service to current card holders. A digital document management expert could provide an integrated solution spanning digitization, data capture and processing. Then, the expert would transmit all the digitized information to credit card approval system for immediate processing within 24 hours of receipt. 2. Too many supplier invoices. This is another common challenge of business that have either several international locations or have hundreds of small offices across the country. The purchasing department often has to track thousands of supplier invoices per month, which turns into an inconsistent internal invoicing process. Too much time is spent in keeping track invoices received through email, fax, and mail. A digital document management company can take a load off your company by developing and implementing an effective, secure and sustainable invoicing system. 3. Too old document management system. A document management system is a computer system (or set of computer programs) used to track and store electronic documents and/or images of paper documents. Often, companies make a big investment in these systems in the beginning. It’s the best and more modern. It’s very expensive. Business goes as usual for several years and the budget allocations get thinner and thinner. As the years pass by, there’s a need to replace the system, but there is just no money available! Instead of making a big overhead expense in a new system and the time to train personnel to use it, you could outsource the services of a digital document management consultant. Focus on your core business by freeing up resources currently tied to business processes and document management. Hire a firm whose core business is digital document management.